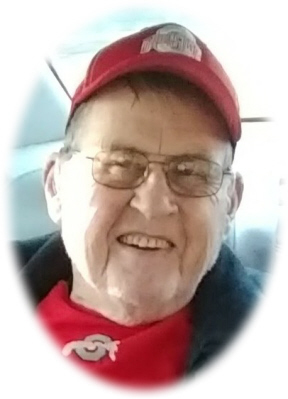 David Solon Davis age 81 of St. Louis, Michigan passed away Sunday, September 2, 2018, at Woodland Hospice House, Mt. Pleasant, Michigan. A Memorial Service will be held on Saturday September 8, 2018 at First United Methodist Church of St. Louis at 11 A.M. with Pastor Terri Bentley officiating. David was born in Oak Hill, Ohio on August 13, 1937, the son John Oscar and Mary Louise (Williams) Davis. He graduated from Oak Hill High School in Ohio, went on to attend and receive a bachelors degree in poultry science from The Ohio State University. David married Jane Ann (Ruth) Davis. Jane passed away in November of 2006. Dave owned and operated a large turkey farm in Ohio before moving to St. Louis, Michigan in 1987. Dave spent many years as a salesman in the animal health industry. He was a member of the Barber Shopper’s, First United Methodist Church in St. Louis and the Masonic Lodge. He is survived by 2 sons: Damon Davis of Mt. Pleasant, MI and Darius Davis of Germany; 8 grandchildren: Grace, Rebecca, Troy, Gabriel, Daniel, Joseph, Brody, and Caleb. He is also survived by 2 great grandchildren: Norie and Leyton, and his dog Shadow. He was preceded in death by his parents, wife, son Daniel Mark, and 2 daughters: Susan Annette and Sally May. Memorials may be made to United Methodist Church or Midstatesmen Chorus. Online condolences can be sent to www.smithfamilyfuneralhomes.com. The family is being served by Smith Family Funeral Homes, St. Louis, Michigan.